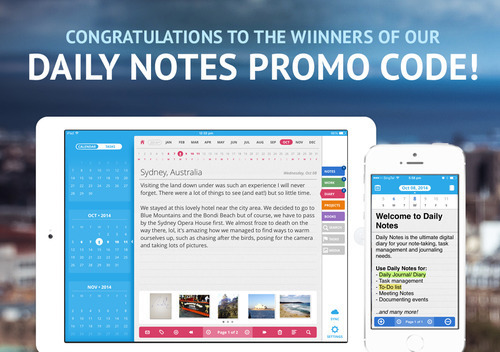 Congratulation to the winners of our Daily Notes promo code raffle! Please email julie@fluidtouch.biz with your name and location to get your promo code to download Daily Notes for free. Thank you again for joining! Stay tuned to our Facebook & Twitter account for more exciting promotions & updates from Daily Notes.